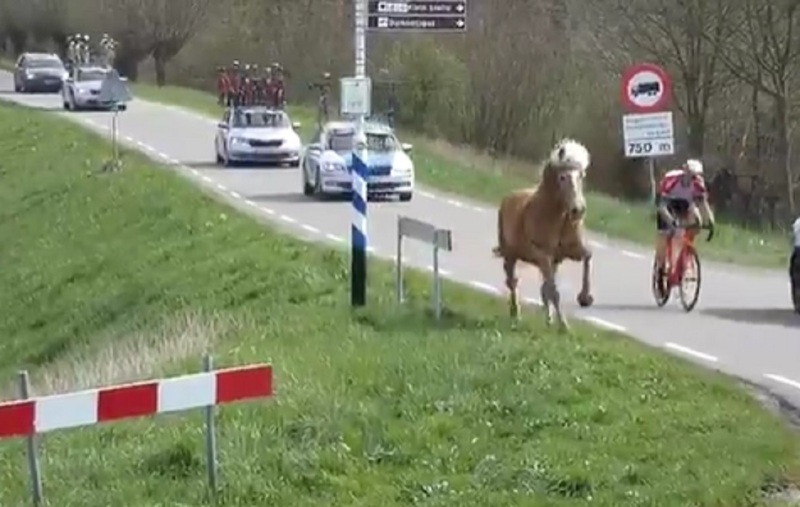 There was a close call for a rider at the ZLM Tour (1.Ncup), the Nations Cup race for Under 23s in the Netherlands today as a horse ran alongside him for a time. 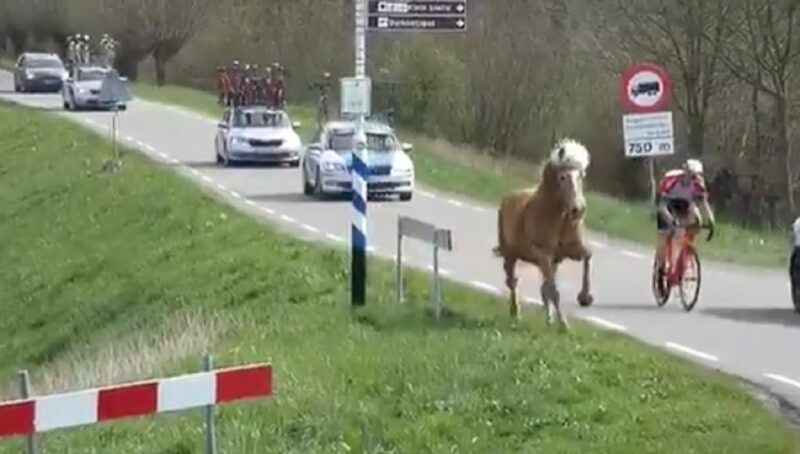 The incident happened at Wemeldinge in Zeeland and in footage posted on Twitter, the horse can be seen running in close proximity to the rider and the race cavalcade. 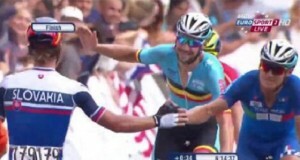 According to Sporza, the horse ran along the course for a few kilometers before it could be captured again. 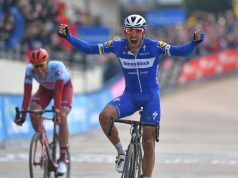 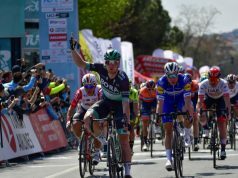 The 178-kilometre race which started and finished in Goes was won by Italian Matteo Moschetti with Belgium’s Sasha Weemaes finishing second and Max Kanter of Germany in third.